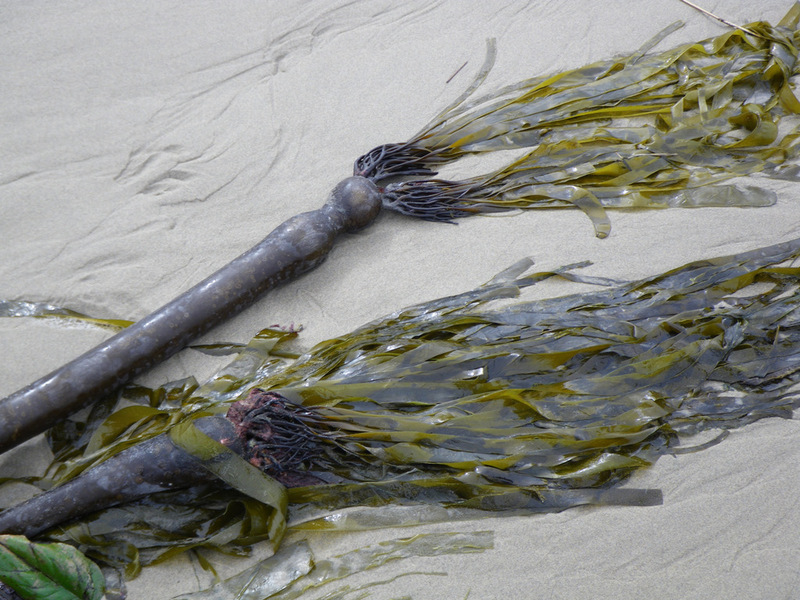 My post about bull kelp drift masses, back in early December, got me thinking about other algae people might find washed up in the drift line. 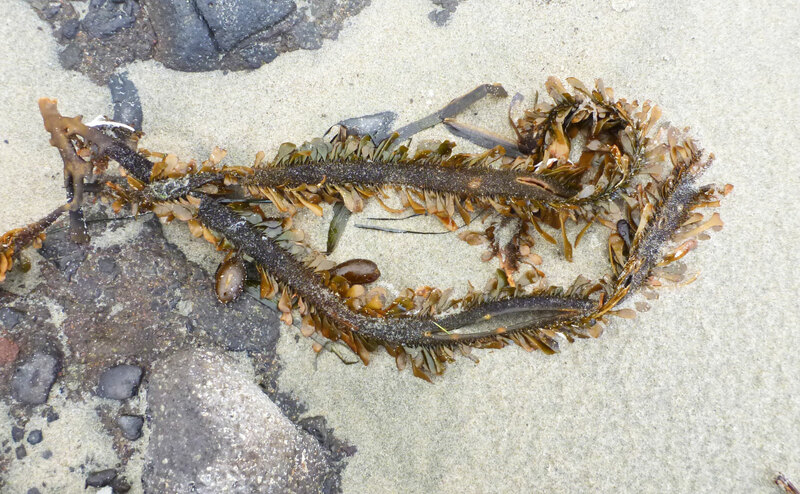 On my home beaches, bull kelp is certainly the most noticeable. 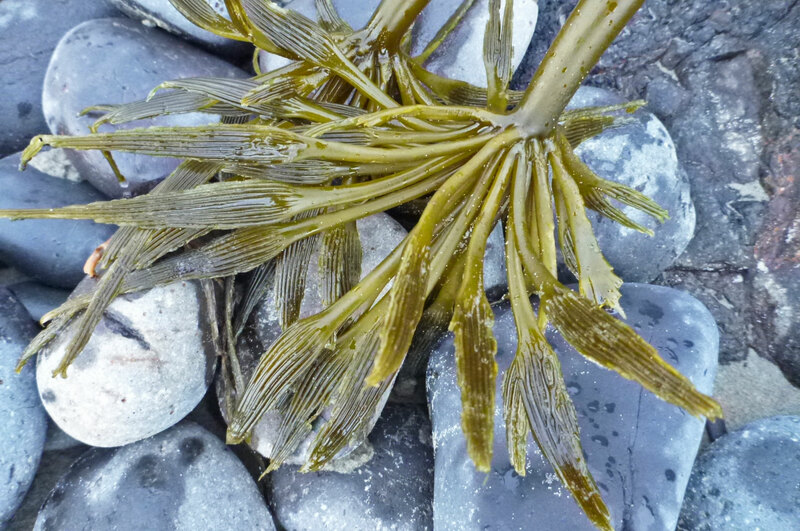 Small clumps of rockweed are abundant, and sea palms, when present, are hard to miss. 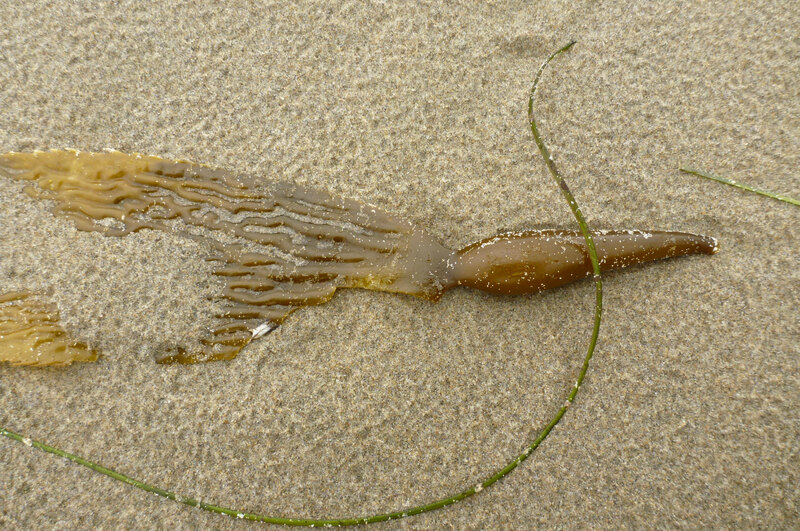 Fresh giant kelp is the most attractive alga in the driftline, in my opinion. 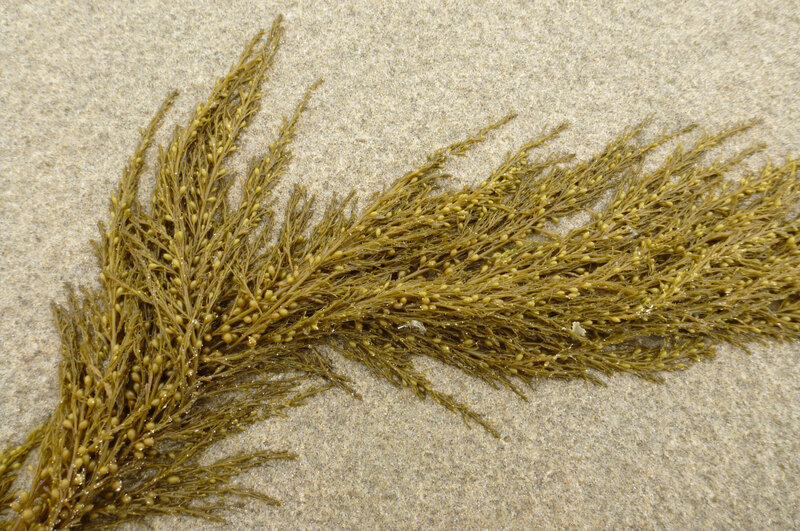 Tufts of sargassum aren’t bad looking either, but some people are put off by it, it being introduced here. 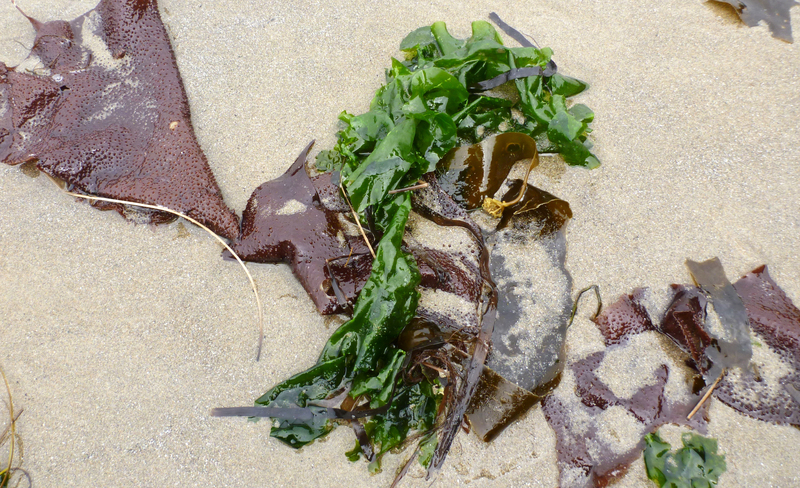 Turkish towel, sea lettuce, and feather boa kelp round out my list of common large marine algae you can expect in the drift line on northern Oregon beaches. 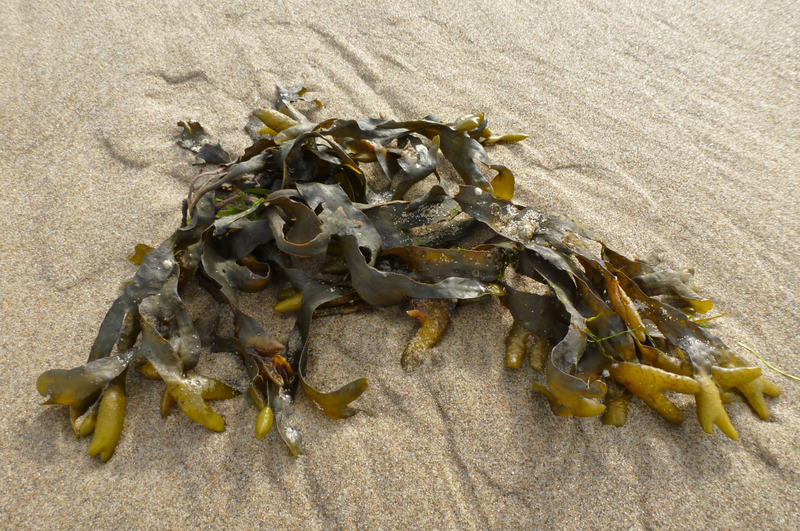 Here are a few more images showing what these common algae look like when they wash up on the beaches. If you don’t know these algae well, you might be able to use this gallery to practice your identification skills. There is one unidentified form in the mix. If you know what it is, please let me know.